Strategy that works. Brands that connect. As the phrase suggests, architecture is the organizing structure that lies behind your brand. It encompasses every aspect of the business, from the parent company to divisions, products, and services. The right brand architecture makes your business easier to understand and allows specific audiences to form strong relationships with your business. It also makes your business easier to manage. We advise you on what architectural model may be the most appropriate, help you interpret it, and then bring the brand architecture to life. What motivates you and your team to do what they do, beyond just making money? Being motivated by the concept of being the absolute best in the industry? By imagining totally new ways to deliver new products? Or by delivering value that trumps all others? These ideas talk not just to what you do but how you do it. Delivered sincerely, they are what convinces people that you are different. They personify your purpose. There’s a bigger question, too. Are you consistent in delivering to a purpose? Will your employees and customers give the same answer? All elements of your brand strategy—its positioning, values, personality and brand idea—need to ring true for everyone who comes into contact with your brand. They need to reinforce your business strategy and reflect your purpose. When this happens, your brand becomes authentic. It will have a story to tell that is believable. The result? A brand that builds reputation, rapport, and success. If you struggle to say what your brand stands for, if you doubt that it consistently delivers on its promise, or if you feel that it has been left slouching in the shadows, we can help. By brand identity, we mean the way your business gets recognized, the visual communication that needs to stand out and be true to what your organization stands for. What makes up your brand identity? It used to be just your logo. Now it’s colors, typography, imagery and, increasingly, characterful language. There is often one element that has a disproportionate influence over the brand’s identity as a whole. It might be a distinctive logo (Coca-Cola), color (Cadbury), imagery style (iPod), or language (Virgin). Often our job is to make a brand identifiable, whether the logo is visible or not. Our job is to take these elements and create something that sets your brand apart from your competitors—and ensure that it portrays the truth behind your brand.With our team of experts, we define a visual and written communication strategy, clarify your brand’s messaging, create memorable graphic design for chosen tactics, and manage execution including pre-press and print development. Ambitious start-ups run lean and don’t have the time or resources to hire a full marketing department. While BPM is expert at identifying insights and developing brand strategy, we are also adept at providing discrete marketing services to address your immediate needs, such as launching new products or developing a communications plan to increase brand awareness or improve purchase frequency. We will work seamlessly as your internal marketing department until you’re ready to hire your own. 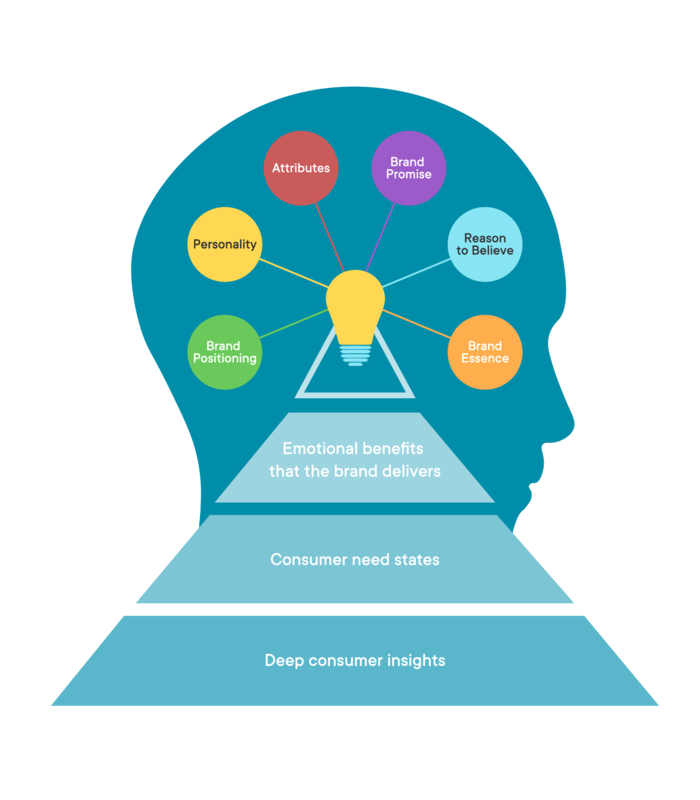 An essential part of brand-building, market research is foundational for identifying consumer insights that translate into on-target products and communications. Our deep experience in qualitative and quantitative methodologies means we build the right strategy to meet (or match) every client’s needs. We provide end-to-end research services, from identifying problems and determining the best research design to collecting and analyzing data, and ultimately translating insights into actionable solutions. Be it customer-journey mapping, focus groups, or large-scale quantitative surveys, we can help. We’re believers that challenging convention, combining data and imagination, and deeply understanding consumer insights are all critical to the innovation process. Often the engine that drives a brand forward, innovation keeps it fresh and relevant, attracts new customers, and pushes boundaries into new categories. Using our proven, proprietary innovation process we guide our clients to fill product development pipelines, identify long-term opportunities, or develop unique ways to renovate existing products, launching on time and on budget. Attractive and distinctive packaging is a key component in the marketing of retail products. Your package is sometimes the first time your customer is introduced to your brand. It not only needs to be functional and informative, but it must also connect with your consumer. Blue Parrot has years of rich experience in package design, sourcing, and structural development. First impressions are defining, and websites are often the first impression a consumer will have of your brand. Our team of designers, developers and digital marketing specialists excel in producing impactful creative, targeted messaging rooted in SEO and grounded in smart strategy. We are a branding agency with a singular focus: humanizing brands. We uncover your brand’s authentic character and express its unique personality by digging deep and tap into a brand’s inner truth. Then we build your brand to be more sociable, more personable, more connected. Our social and digital strategies evolve into targeted execution through social media, digital ad campaigns, email marketing and more, ultimately leading to stronger emotional connections. In-store merchandising can be key to closing the sale, especially in competitive industries. We build retail merchandising success stories with visually compelling displays, relevant collateral and unique in-store merchandise support. We live and work in fast-paced, changing industries. Subscribe to stay up-to-date on all the latest news.